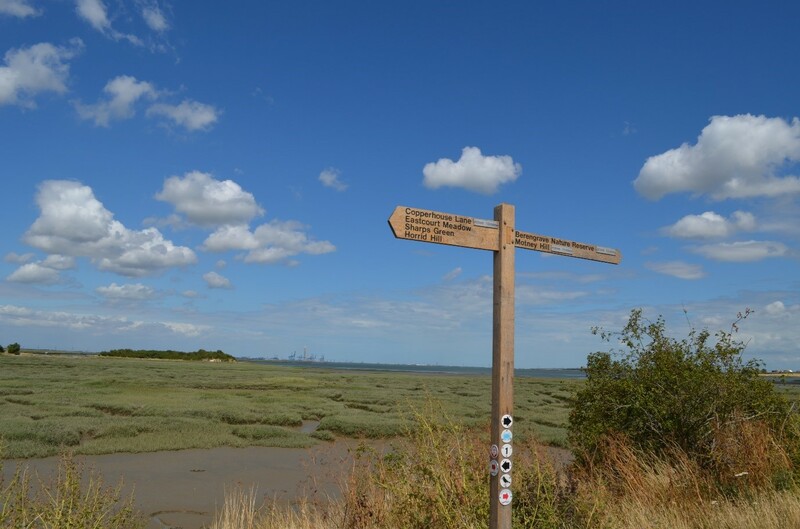 A Great Place to visit – Riverside Country Park, Medway. 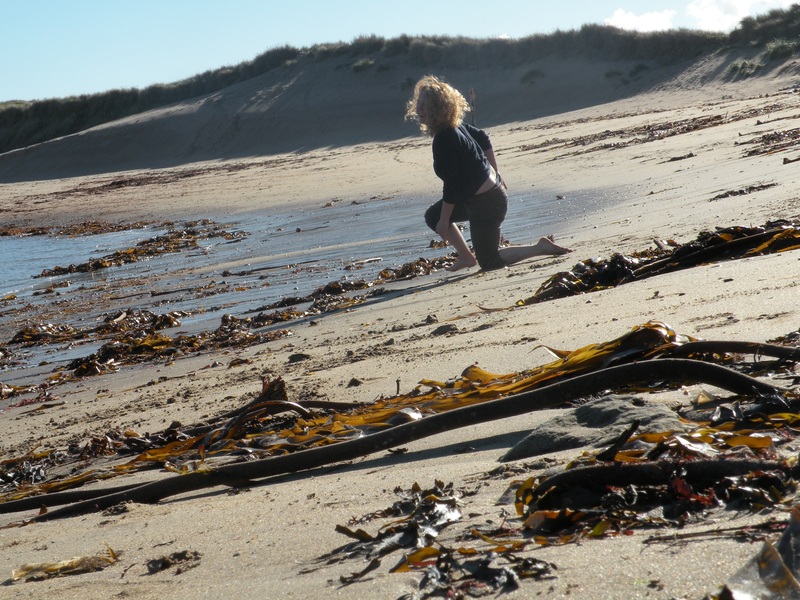 Many thanks to Cora Polland for our guest blog this month. 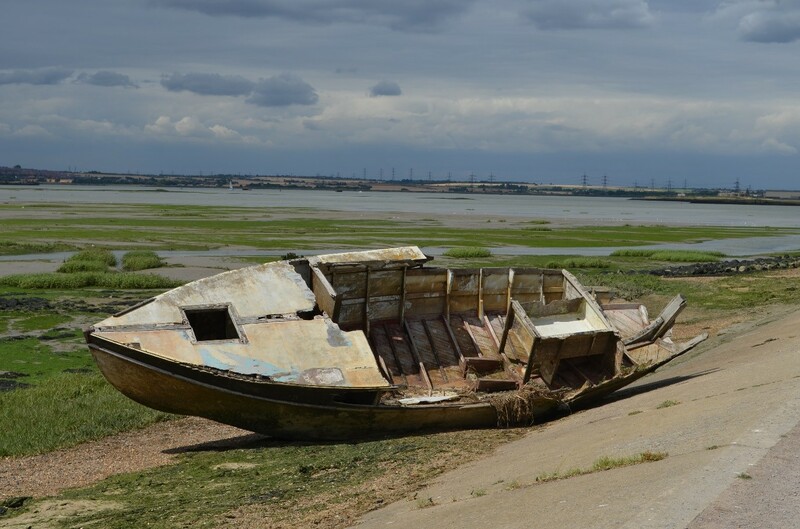 Riverside Country Park, located alongside the River Medway is a scenic, coastal spot scattered with rustic boats and is a good place for birdwatching. In addition, the area has very interesting historical background dating back to the industrial revolution. 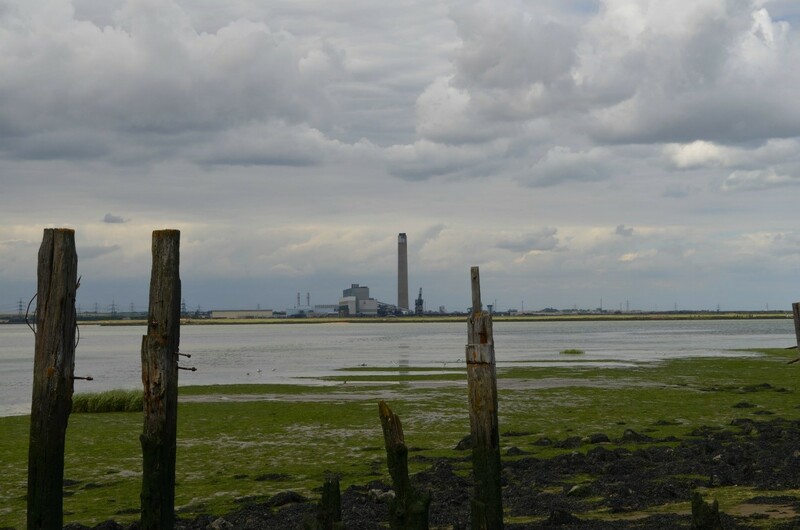 The first Portland Cement Factory appeared on the River Medway in 1851, with the secret ingredient for this new cement being Medway mud. Throughout the 1850s the River Medway was supplying the whole world with Portland cement before similar mud was found elsewhere to produce the cement. Many Medway industries were based on large amounts of local materials and consequently became harder as well as more expensive to find as the materials were used up. During this period of time the workers who dug from the estuary were called ‘muddies’. 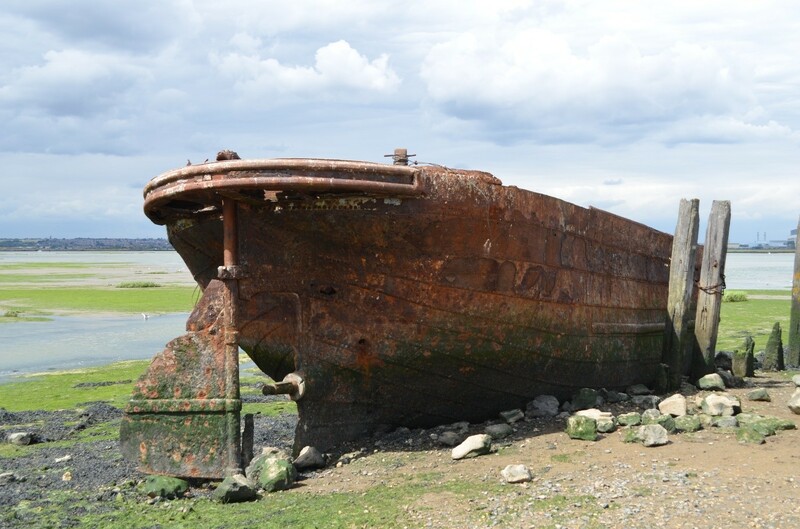 At high tide barges would sail from Rainham dock into Medway, where the muddies then had the job of climbing over and shovelling slime/mud into the barge, until they floated off to be unloaded after the tide came in again. Great amounts of mud were dug from the river this way therefore meaning there are now deep pits filled with soft mud at the bottom of the river. It was initially feared that the mud extradition might change the flow of water in the river which could cause silting. Horrid Hill, part of the park, was originally an island however, it was later joined to the mainland by a causeway in order to allow a horse drawn railway to reach the cement works. From mid-18-19th century there were two types of Hulks in the Medway. Those used for criminals and those used for prisoners of war. This links in to one of the many rumours as to why it is named the ‘Horrid Hill.’ It is thought that convicts, housed on these hulks in the Medway anchored close to Chatham, made an attempt to escape to the land which looked like an island, those who were recaptured were hanged as a warning to others, giving it the name. 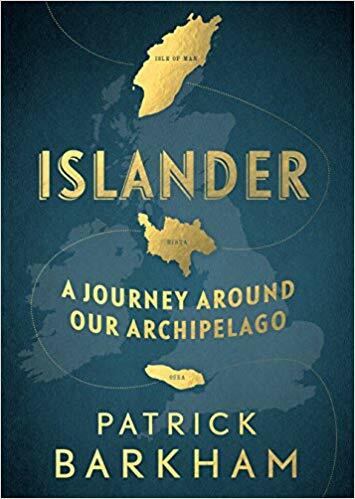 Other rumours about the origin of the name are that during the Napoleonic War, French Prison Hulks were moored off Horrid Hill and local people could recall hearing the screams of the prisoners and the horrid conditions that they faced. A less gruesome rumour is that the name came from the manure used on the local farms which was dumped at the base of Horrid Hill – creating an unpleasant smell. Furthermore, during the Great War of 1914-1918 the British Standard Cement Company’s works at Motney Hill lost a large amount of their workforce, therefore after the war a list of those who died was placed on a memorial plaque which is now viewable at the Riverside Country Park’s visitor centre. The Eastcourt meadows were once a municipal rubbish tip up until the 1950s however it’s since been transformed into a magnificent haven for butterflies and wildflowers. The Riverside Country Park was once a place of hard labour and cement but has since become a place of natural beauty containing wildflowers, pear trees, and during high tide a place where common seals have been spotted. I realised three things today. 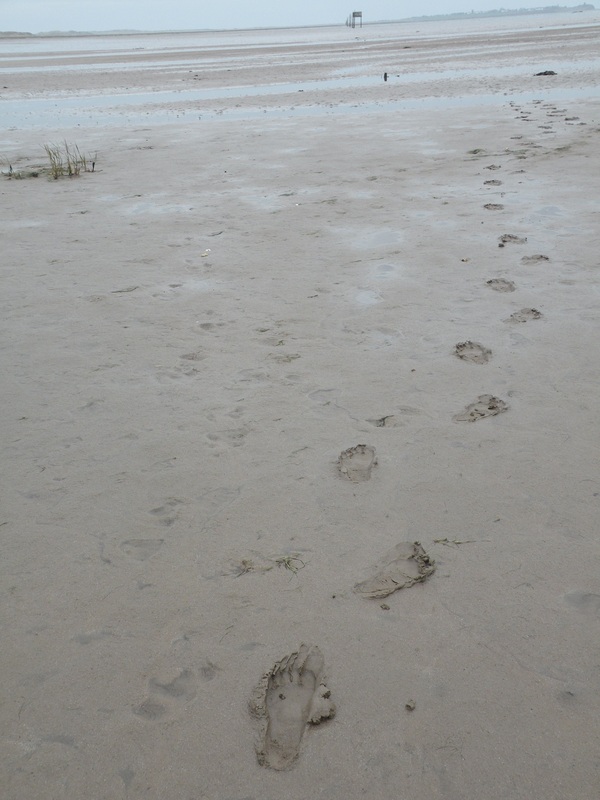 One, you should not wander Holy Island lost in your own head. I had walked all the way across North Beach lost in my own thoughts, caught up in an internal world that was not there in front of me and then I rounded the corner and a bird flew in from the sea. I looked up. It was an owl. I laughed out loud. I am always being sent owls. J K Rowling knew what she was on about, they are messengers. 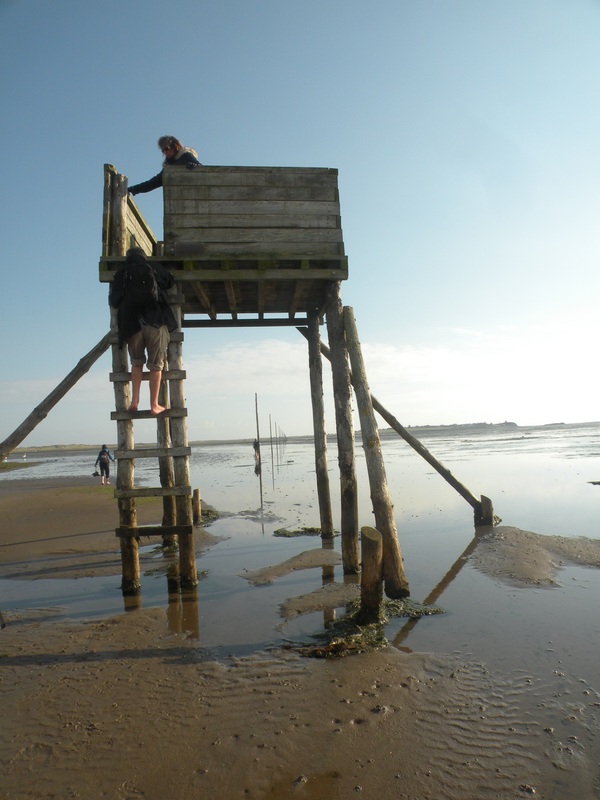 The most beautiful day on Holy Island and I was lost in my own head, clearly I was crazy. 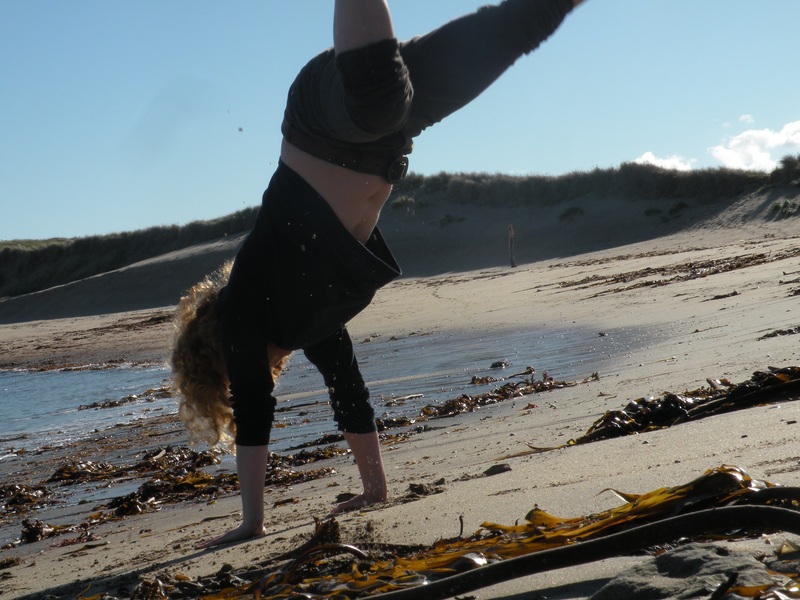 The second thing I realised is that it is not easy to take a photo of yourself doing a cartwheel. 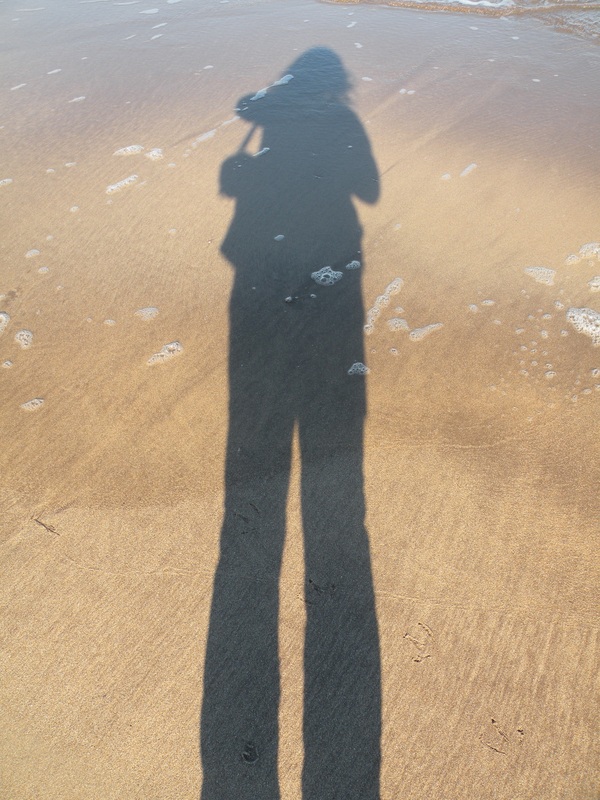 Cove Bay was deserted, I raced up the beach and cartwheeled back. Why? Well Why not? I only learnt how to do a cartwheel last year and have to practice every attempt I get. 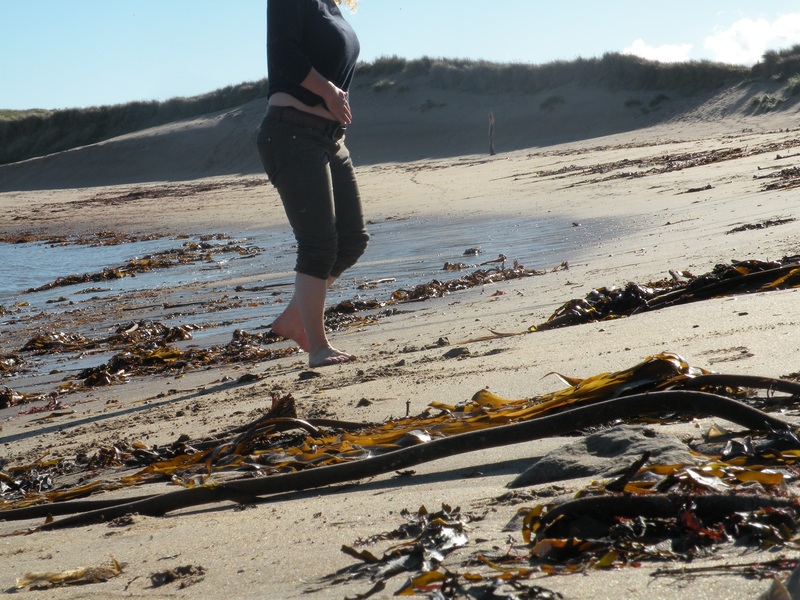 The seals in the bay swam in to watch and sang to me, lamenting my obvious weirdness. The third thing is that tourists are, for the main, an unadventurous, herd driven species. 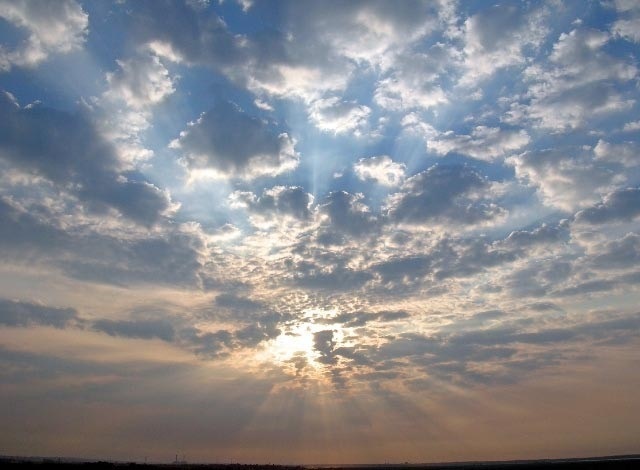 I had watched thousands of them descend on the island that morning but where were they now? 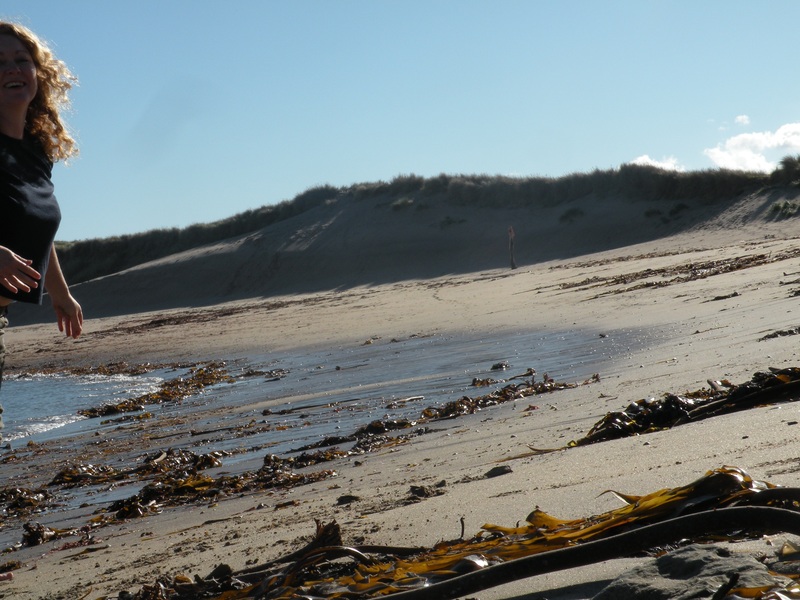 Thankfully, elsewhere, buying mead and visiting the castle but not on the beach where it was just me and the seals and an owl hunting the dunes. 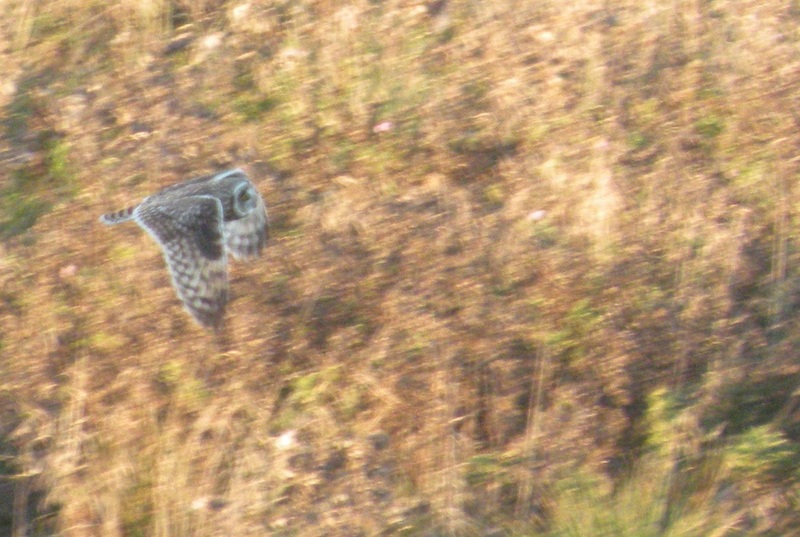 Short Eared Owl, Holy Island. 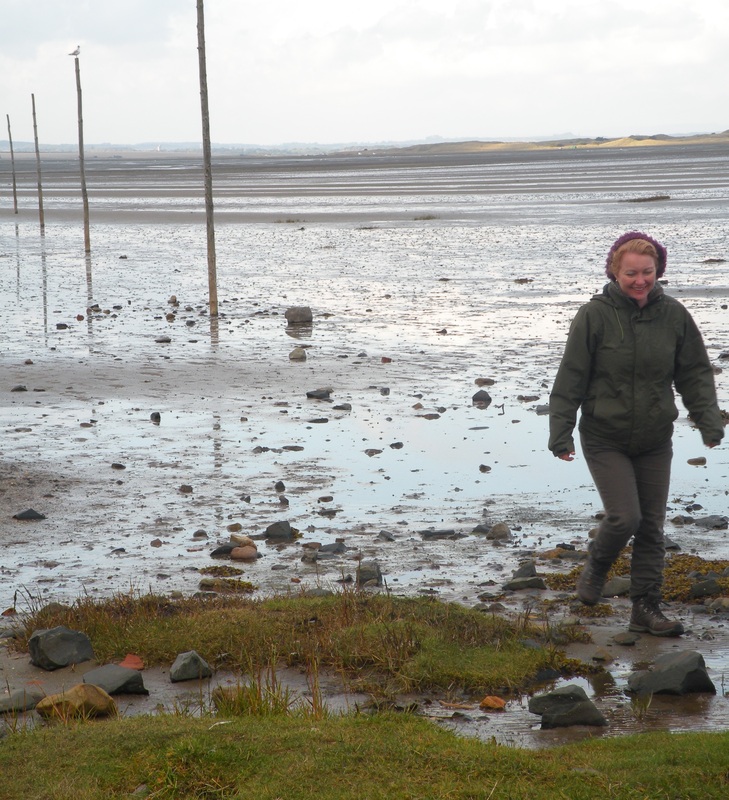 Walking the Pilgrim Posts, Holy Island, Northumberland. 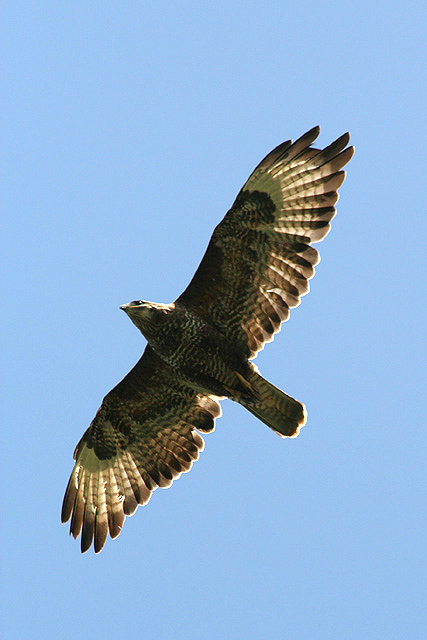 Happiness is……..a buzzard flying over my house. Just had a buzzard fly over my house, in the middle of urban Medway. It circled above on a rising thermal, hunting for what, I do not know. I wanted to shout out across the gardens. but restrained myself knowing that the neighbours already find my antics strange enough.